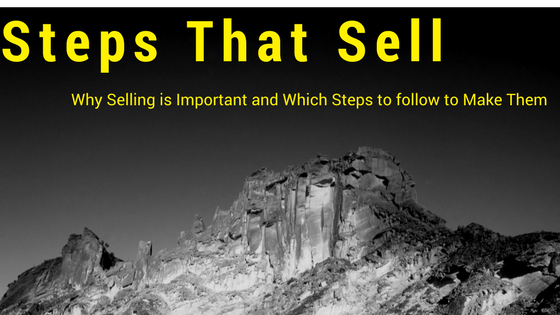 Why Selling is Important and Which Steps to Follow to Make Them If you ask anyone that has any bit of experience in business how important sales are, you might be met with diverse answers. The diversity, however, would likely only be in the degree of which people ascertain its importance. For example – “extremely important, significantly important, and “oh, they definitely matter,” are just a few answers you may be met with. It should come as no surprise that many agree on this matter. Sales are all around us. The drive behind any individual involved in a business venture is to make substantial enough profits that will lead them to success. The way to do this is to convert interest from respective audiences into the sales. To sum it up, this explains why exactly sales are so important. Having said that, the importance of sales does not automatically and immediately translate into a business task that is easy to accomplish. Many start-ups, new companies, or even stagnant companies might all agree that making your first substantial sale can be one of the most challenging ventures as a business person, entrepreneur, or member of a sales team. Today, despite this unavoidable challenge which has been around for ages, there are recent changes that can help us along in the process of making a sale. Luckily, in the past decade or so, the blossoming power of technology has provided us with indispensable tools that we can utilize in our journey to selling successfully. Below, we’ve outlined the steps that can be consulted, respected, and followed in order to see improvements in your conversion rates and in the outcome of your selling efforts. 1. Lead Generation: The first step in the selling process is generating numerous leads that have the potential to convert and eventually purchase your product or service. This can be done with a variety of marketing methods including social media outreach, incentives, and web optimization. The first step in the selling process is generating numerous leads that have the potential to convert and eventually purchase your product or service. This can be done with a variety of marketing methods including social media outreach, incentives, and web optimization. The step that follows that of lead generation is to further analyze your leads in order to identify which are worthwhile, quality leads that should be pursued. When looking closely at each of your leads, they can be divided into those that have true potential and interest in your product or service, and those that do not. Those that you identify as reliable leads can be reached out to even further in order to spark an even greater interest in you and your product. After generating leads and understanding which of them are quality leads, the next step that can help you in the sales process is backing your product. During this stage, it is important to employ marketing strategies to let your audience know that your product is the one that stands above the rest. After the aforementioned steps, it is important to deliver. The efforts you made before all lead to this moment – giving your buyer what it is that you have worked hard to convince them that they need. The last step in the sales process is one of utmost importance. After going through the journey of getting your lead to convert, it is important to follow-up and maintains the relationship with the customer or client. By doing this, you have the opportunity to create a repeat buyer that will continue to count on you for their future needs. When running any business it is important to understand why selling is important and what steps to follow to make them for your bottom line.